It is now November. The last few leaves are falling from the trees and we are already thinking about swapping out our pumpkins and jack-o-lanterns for evergreen trees and twinkling lights. Before we do that, however, we have another major holiday to celebrate. Many will spend their Thanksgiving sharing a bountiful meal with family and friends, while others might not have anything special or anyone to share with. Whatever the situation, I pray that we all might reflect on what it means to give thanks and perhaps contemplate the martyr whose memorial falls on Thanksgiving this year. 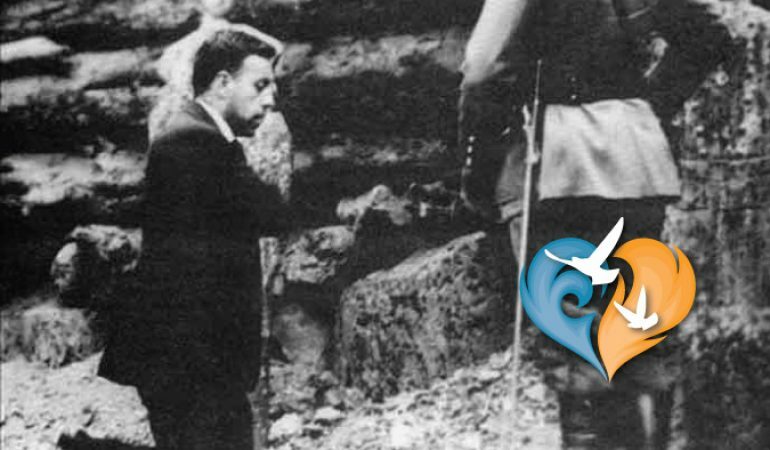 Blessed Miguel Pro was a Jesuit priest in the mid 1920’s, during the time of the Cristero War. 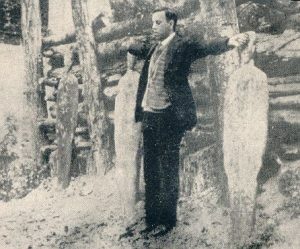 In this era, the Catholic Church was viciously persecuted in Mexico. Despite the danger of the situation there, Father Miguel insisted upon ministering to the people of his homeland. The anti-Catholicism of the government forced him to conceal his priestly identity and minister to the faithful in secret. And minister he did. Father Miguel untiringly brought the sacraments to his flock. He is said even to have disguised himself as a guard in order to minister to Catholics in prison! He served the faithful in their spiritual needs and worked even to provide the poor with material needs. Father Miguel certainly had his share of suffering in his short few years as a priest. He did not enjoy the luxury of a large parish, a comfortable rectory, or the public respect usually paid to a priest of Jesus Christ. He lived at odds with and in danger of the government, at times having to beg for necessities. Despite all of this, Blessed Miguel remained cheerful and faithful to the Lord’s work, relying on His generosity. After just less than three years as a priest, Father Miguel was arrested along with his brother. On November 23, 1927, he faced the firing squad. In a profoundly Christ-like action, he forgave his executioners and extended his arms cruciform. 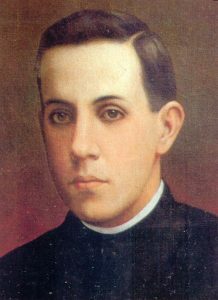 Blessed Miguel shouted the phrase which became famous as the rally cry of the Catholic rebels, “Viva Christo Rey!”- “Long live Christ the King!” Miguel Pro was faithful and praised God even to the moment of his death. Miguel indeed shouted praise to God, even though he endured trials and capture. His captors did indeed “set foot” on his neck (a sign of dominance). Yet, in the end, the Lord led His faithful servant to true freedom, the freedom of eternal salvation. We ourselves may not be called to such profound gestures of sacrifice as Blessed Miguel. Yet, in our own day-to-day lives, in our struggles and our joys, we can recall his witness as a model for us. I might like to imagine if I were before a firing squad that I could keep trusting in God. I know, though, that that kind of faith comes through practice in small things. And so, I challenge myself and you to be thankful to God in our own trials, large or small. This Thanksgiving holiday, we should strive to appreciate our blessings as well as our struggles. After it all, we may say that we went through fire and water, and in the end, God led us to freedom. Blessed Miguel Pro, pray for us. Viva Christo Rey!